City Council member shows constituents the possible effects of sea level rise at Alamitos Bay Marina area. 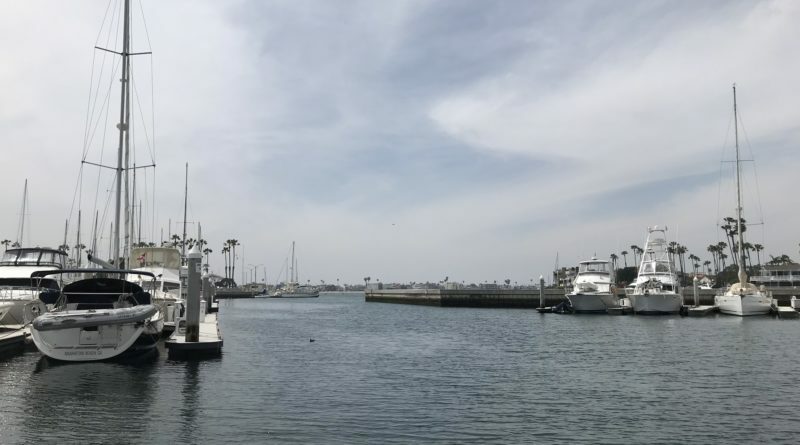 LONG BEACH—The effects of a 100-year storm surge could have the southeastern portion of Long Beach almost entirely under water. This was the takeaway from a modeled aerial image of the Alamitos Bay Marina area shared by City Council member Suzie Price. Whether the aerial image is a doomsday possibility, a realistic forecast or fodder for the climate change denier crowd remains to be seen. Price, however, urged the constituents of her district – which is Alamitos Bay, Belmont Shore and Naples – to start preparing for rising sea levels and participate in a survey on climate change action and adaptation. She hosted a community meeting within her district in late January and gave a presentation on Long Beach’s efforts to address climate change issues. A Power Point presentation on Long Beach’s first-ever “Climate Action and Adaption Plan” was presented to those who attended Price’s community meeting. The Power Point presentation, which wasn’t scientific in nature and only offered broad talking points, was created in June 2018. It broadly covered Long Beach’s goals on addressing climate change issues such as sea level rise, greenhouse gases, drought, poor air quality and extreme heat. A qualifier toward the end of the presentation stated the information presented was “preliminary” in nature and subject to change. One PowerPoint slide, for example, outlines Long Beach’s mid-century and end-of-century climate projections. Long Beach could faces as many as 12 extreme heat days, which is 95 degrees or higher, within the next 11 to 31 years, according to the climate change action plan presentation. “Heat waves will occur more frequently, be more intense, and longer lasting,” city staff stated in its presentation. The presentation also contemplated what would happen if Long Beach experienced 11 inches of future sea level rise. City staff added Marine Stadium, which is located adjacent to Alamitos Bay Marina, would experience 20 percent flooding during King Tides and 100 percent flooding during a 100-year storm tide. “Sea level rise, coastal flooding and precipitation based flooding may result in injury, death, displacement and mental health burden,” city staff added. Price’s office, meanwhile, asked local constituents to participate in a survey about climate change. Those who participated in the survey were asked, for example, whether they believe the city should prioritize planning for climate change. Respondents were also asked what outcomes of environmental sustainability was a top priority for them. Answers included clean air and water, increased resilience from climate change, enhanced recreational opportunities and active transportation systems. Multiple answers could be selected. Another survey question: What actions have you taken to protect you or your property from coastal flooding? Possible answers to select were: remain indoors during flood advisories; have sandbags ready; don’t attend work, school or social activities; and, stock up on emergency supplies. More information about Long Beach’s climate change action and adaptation plans are available online at www.lbds.info/climateactionlb/default.asp. The person at City Hall to contact with ideas and suggestions on Long Beach’s plans is Advance Planner Alison Spindler; she can be reached at 562-570-6946 or alison.spindler@longbeach.gov.